AQUABLOCK Fish Food - $2.50 : The AquaBlock.com, As care free as a pet can be! The AQUABLOCK is a glass fish tank that was inspired by the notion of bringing together the balance of nature, decorative design, and soothing tranquility of aquatic life to create an aquarium small enough to fit on any desktop or tabletop. 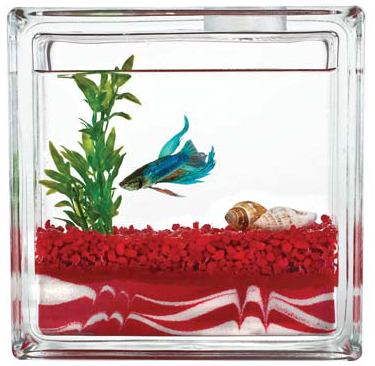 These portable tanks are ideal as a first pet for any child and are easy to clean (the gravel is glued down). 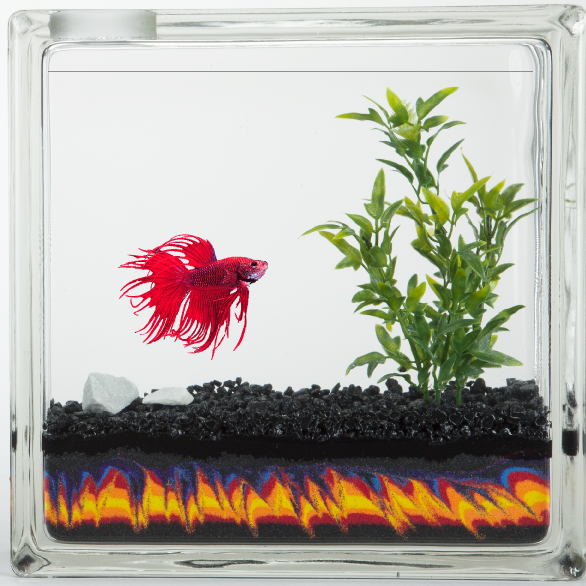 We offer many options so that you can custom design and personalize these aquariums.Betta fish swim easily in our desktop sized tanks. 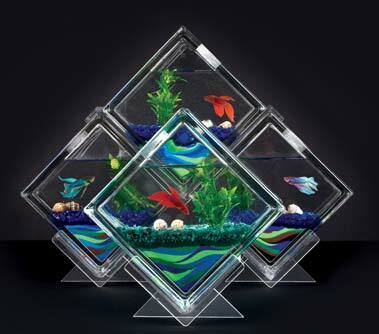 You wont find any other small aquariums that are as unique and portable as our AQUABLOCK fish tank collection. 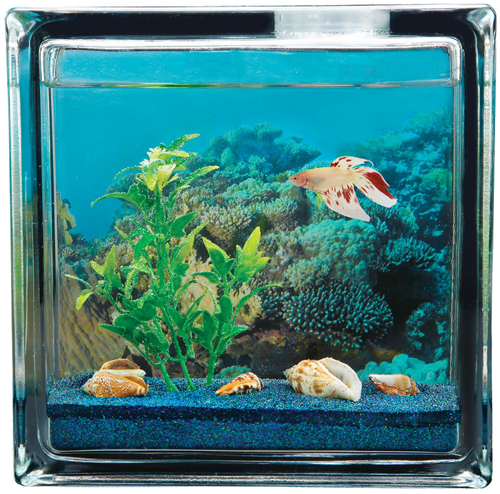 Visit our online store to see the many options available to custom design your own small, glass fish aquarium. 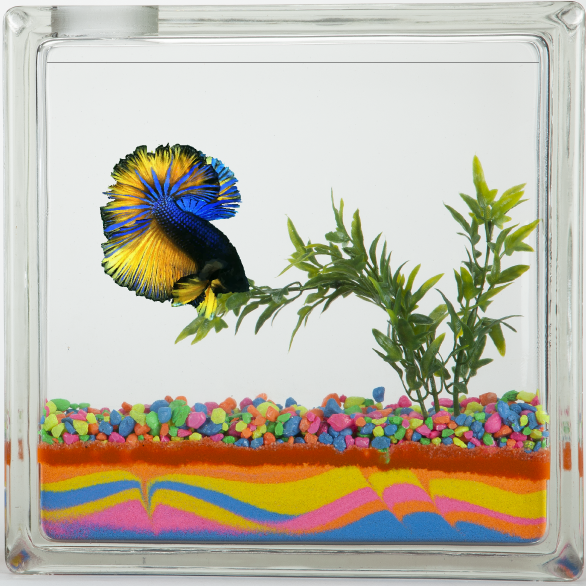 Or contact us for more information regarding our unique and decorative AQUABLOCK aquariums for Betta fish. Purchase a year's supply of food and keep your Betta fish well fed! Copyright © 2019 The Aqua Block.